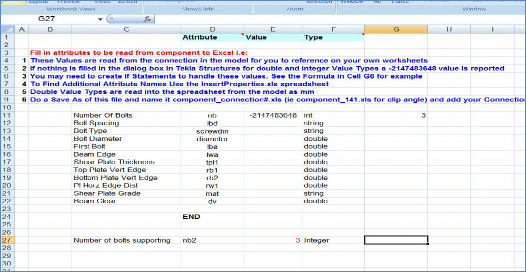 Allows the user to more easily extract specific information from connections/components in order to create design sheets in Excel. 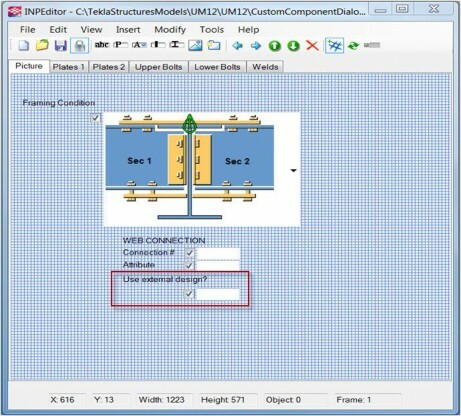 Insert the desired component in the model. Launch the Component Variable tool. Change the desired value fields that you want to consider in you design spreadsheet and leave dialog open. When the component, or component cone is selected, the Component Variable tool will populate with a list of attributes from the component. When changing a desired value, modify the component and with the Component Variable tool open the tool will change these values. You can use the search field to narrow the values to only those which you want to use in your spreadsheet. Click in the Name field to assign an identifier to use in the spreadsheet. Highlight desired fields to copy to spreadsheet and use the ”Copy selected” button. 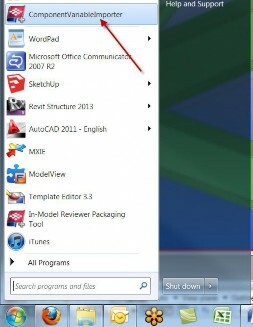 Click ”Open in Excel” to open the Excel documents folder. 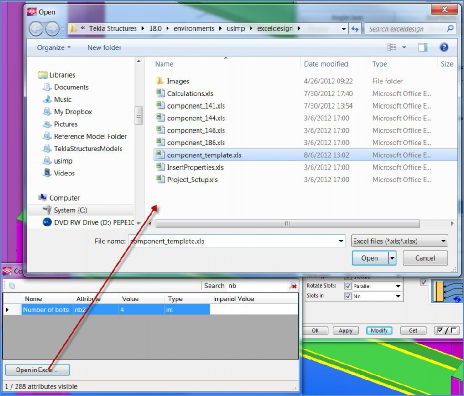 Use the file: ”component_template.xls” to create design sheets. Note the previously created examples for suggestions and examples. Paste the desired fields into design sheet. Instructions of how to place are included on the sheet in blue. Continue until sheet is completed. with the Design tab is available for Excel design. Add a ”Yes/No” Parameter to list. In Tekla Warehouse the content items are stored in collections. 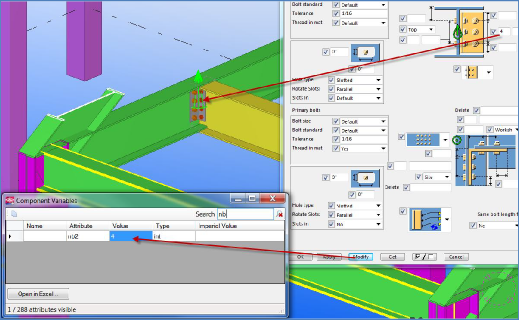 Tekla Warehouse includes the Tekla Warehouse Service and the Tekla Warehouse web site. 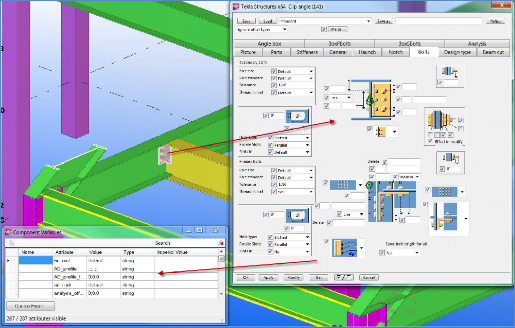 Tekla Warehouse is one of the Tekla online services. Only attributes with the values filled in will appear. In order to include them, you must input a value. The name field will not save the data within the Component Variable tool, but will remain until another component is selected. *May not find extensions that are part of a package. The feedback you give here is not visible to other users. We use your comments to improve our content. Need support? Fill in this form instead. We use this to prevent automated spam submissions. Refresh page after voting to show updated result.